Hit And Run Accident Claims – Car Accident How Much Compensation? We understand that a hit and run accident must be a very traumatic time, especially for those that have been hurt or injured. This can then be made much worse when the person responsible leaves the scene of the accident. If you are one the unfortunate few who have been unlucky enough to be injured in a road traffic accident which is not your fault, and the culprit has left the scene then you may be entitled to claim compensation even if you don’t have the details of the person who is at fault, although your case may be handled a little different to regular road traffic accidents. Here at legal expert we have developed this guide to claiming compensation to educate people, and to help them to put forward a successful personal injury compensation claim for their hit and run accident UK. A guide to Hit and run accident compensation claims. My child was hit by an uninsured driver can we claim compensation? I have whiplash from a hit and run accident, can I claim compensation? Fatal Hit and run accident who can claim compensation? I was involved in a hit and run accident while on my bicycle (bike) can I claim compensation? What can be claimed for after a hit and run accident injury? How much compensation will I get after a hit and run accident causing injury? No win no fee hit and run accident claims. Why choose us as your claim service for your hit and run accident injury? The purpose of this guide is to provide you with all the information you will need for you to file your hit and run accident injury claim. This guide also intends to answer any questions that you may have regarding your hit and run injury compensation claim. Many people are under the impression that they cannot claim personal injury compensation after they have been involved in a hit and run accident, but they are wrong. If you are involved in a hit and run accident or you are hit by an uninsured driver the motor insurance bureau is who we would be able claim your personal injury compensation award from. If you still have any hesitations or questions about claiming compensation following your hit and run injury, please feel free to contact one of our team, who will be able to help you with any questions you may have. Our contact information can be found at the end of this guide. A hit and run accident is a road traffic accident in which a vehicle’s driver fails to stop at the scene of the occurrence to give their name, their car registration number, and/or any other information that they are required to give by law. 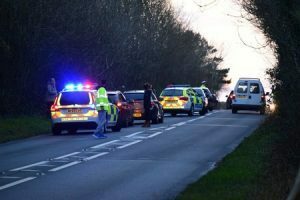 If you have been involved in a road traffic accident where the driver has failed to stop, here at legal expert we understand that this can be very distressing and could possibly end up costing you a lot of money in the long run. Here are a few steps you should take if in the unfortunate event you are injured in a hit and run accident. Immediately following the accident your wellbeing and the wellbeing of anyone else involved should be your number one priority. If you or anyone else involved have been injured following a hit and run accident you should call 999 immediately, you can also alternatively you can call 111 or 112 depending on your phone signal. At the scene, you should try to gather as much evidence as possible including the driver’s car registration number if possible, any witnesses’ details including their name, contact details and address, also any photos you or any witnesses could take with your phone or camera will be significant for your compensation claim. A hit and run accident should also be reported to the police as soon as possible or within 5 days of the accident, as you will need to do this to make your claim for compensation. You can find some useful links at the end of this guide that may help if you or someone in your family have been involved in a hit and run accident. The motor insurance bureau (MIB) is the company that we will get the funds for your hit and run accident, in the occurrence we cannot trace down the driver, or if the driver is uninsured. This bill is paid through insurance premiums of motorists. The Motor insurance bureau work in partnership with insurers, Police and the DVLA. We here at legal expert will deal with your motor insurance bureau claim on your behalf. If you or someone you care for have been involved in a hit and run road traffic accident and you wish to go ahead with a compensation claim, the you are going to need some legal advice. What kind of medical treatment have you needed? Do you have any long-term or permanent health issues because of your injury? Once we have all the details of your accident and injuries together, we will then be able to advice you on what to do next. In most of our cases we are able to offer your compensation claim under a no win no fee agreement. We will then be able to move forward on your hit and run compensation claim on your behalf, and aim to get you the most compensation possible based on the details of your injury and how much this is affecting your everyday life. Yes, a parent/guardian can claim compensation on behalf of the child/minor (under the age of 18). We can claim compensation from the motor insurers bureau (MIB) in the event you or your child has been involved in an accident in which the driver of the vehicle has no insurance. Any compensation awarded to the child will be invested into a court approved fund until the child reaches the age of 18. If the child has medical care fees or urgent needs then the compensation can be invested into a special trust fund, where theses fund can be released by the trustee when they are needed. Yes, as whiplash is one of the most common injuries that can come after being involved in a hit and run accident you most certainly have a claim for compensation. Whiplash will often get better on its own or may require a little physiotherapy, but it can also cause severe pain and disturbance to your daily duties. Call one of our legal expert team today to discuss your hit and run whiplash claim. Here at legal expert we understand losing a loved one under these circumstances must be very distressing and traumatic, and we understand that there is no way that money can make up for the fact that you have lost your loved one, but it may be able to remove some of the financial burden that can come along with such a heartbreak. In reference to the fatal accident act 1976 dependents of the deceased can be entitled to claim compensation if someone else was at fault for the accident. Sisters, brothers, nieces, nephews, aunts, uncles and cousins. A partner/spouse or ex partner/spouse. A person that has been living with the deceased for at least 2 years prior to the accident. Biological children and other descendants including adopted children, step children or civil partnership. Parents or any other ascendants including grandparents, great grandparents and those who the deceased treated like a parent figure. Yes, you can claim no win no fee compensation. Simply follow our guide on what to do if you have been involved in a hit and run accident. You may also find some more interesting information here. When a victim has been involved in hit and run accident, it is vital that they receive as much compensation as possible. After all, the disruption to their life and their injuries have been caused after no fault of their own. As in all the cases we deal with we will aim to get your compensation to you as quickly and efficiently as possible. Often those injured incur immediate costs that must be paid by the sufferer because of their accident. These damages are often referred to as “out of pocket” costs. Special damages ensure that the victims are not left worse off financially after they have been unlucky enough to be involved in an accident that was no fault of their own. Adaption to the home environment. General damages are there to compensate for the suffering and pain suffering a hit and run victim has suffered because of the road traffic accident. One of our medical experts will access medical reports, and will assess this, as well as ascertaining whether future suffering and pain will be likely. General damages also consider how any injuries incurred will prevent the person injured from carrying on their usual day to day duties and activities, also if the injured party is able to continue life as it was before the incident occurred. Loss of the quality of the claimant’s life which can cover tasks at home, hobbies, and any sporting participation will also be considered. It is very difficult to predict your hit and run compensation amount that you will be awarded as each case is individual as he next, and we do not have a hit and run compensation calculator, but we do have an example graph below that may help give you an indication of what your hit and run compensation amount may be. Each hit and run road traffic accident is unique to any other. Victims of these accidents suffer from different injuries one may be very severe whereas the next may just be mild therefore we cannot predict an exact amount as each case is different. However, we do have guidelines set up to show you how much compensation could be awarded after a hit and run accident. Head injury - extremely serious £215,000- £310,00 Estimated range of compensation for victims who've suffered very severe brain damage, are also unresponsive and in what's known as a vegetative state. Arm injury £4.500- £30,250 This amount is set at this criteria for those who have suffered restriction in movement and/ or disability in arms but have can recover. No win no fee means that you are only going to have to pay if you win your case, and our fee will come out of your compensation so money will never be out of pocket. You can be safe in the knowledge that as we do run a no win no fee service, we are not likely to take your case on if we are not certain that we will win as we would not get paid if your case was to lose. So basically, if you lose we lose. There are other legal teams that you may charge you an hourly rate and still may not win your case as they effectively have already been paid. Therefore, it is always better to leave personal injury cases in the hands of our expert No Win No fee legal team here at legal expert. As the UK’s number 1 expert free legal advice on personal injury claims we pride ourselves on treating each case with the sensitivity, priority and respect that it deserves. When you combine the years of practice that our team have together we have decades of experience of hit and run accident claims. We have a dedicated hit and run specialist department that concentrates all their efforts to getting people the maximum amount of compensation that they are entitled to and that they deserve after being injured following your hit and run accident. We fully understand that law can be very daunting and confusing at times, that’s why here at legal expert we try to help you without confusing you with all the legal jargon that can sometimes follow you when your claiming compensation. We will provide a free of charge no obligation consultation so that you know from the very start of your claim its potential, you can also ask us any questions or fears you may have at this stage, and have the added bonus of being able to do so at no cost to you. Our solicitors are of very high standard and are regularly monitored by the solicitor’s regulation authority (SRA), these set the guidelines for which solicitors and law firms must follow. One of the benefits of choosing our service is the fact that we always put our clients first. You can be sure that our main priority is securing the maximum amount of compensation for you, and ensuring that the claim process is handled in the most efficient manner. We know that this is an extremely difficult period in your life, and the last thing we want to do is add to the stress you may be experiencing at this time. As we also offer a no win no fee personal injury claims service, so you will never have to worry or be concerned about the cost of your claim. We are always on hand to help clarify any questions or issues you may have regarding your hit and run case. If you wish to make a hit and run accident compensation claim, all you need to do is give us a call on 0800 073 8804. You will speak to one of our friendly and professional members of our team, who will be able to guide you through the claims process and answer any queries that you may have. We can also assist you if there has been a hit and run accident resulting in death, ensuring you get the fatal hit and run compensation that you and the family of the deceased deserve. This link takes you to the motor insurers bureau website, here you will find all the information on the bureau that you may need. Police hit and run procedure UK? This Police link explains what to do after a hit and run road accident find out if you have to report it to the police. Car Accident Claim – How Much Compensation Can I Claim? If you have been involved in a car accident claim as a driver or passenger or even a pedestrian or cyclist find out how much compensation you could claim contact our team today for free legal advice.